Anyone could remember even one heartbreaking movie scene, when the main character drops his smartphone into a river—and all is lost! Forget movies, many people have experienced this in their everyday lives. Imagine now that you drown not your personal gadget but a company property or a small printer helping you do business. And then you will highly appreciate waterproof gadgets, e.g. receipt printers, especially if you work in pharmacies, outdoor retail, warehouses, healthcare, athletics, professional landscaping or any high-humidity environment. And here they are—waterproof receipt printers, each having its own tricks to stay waterproof. 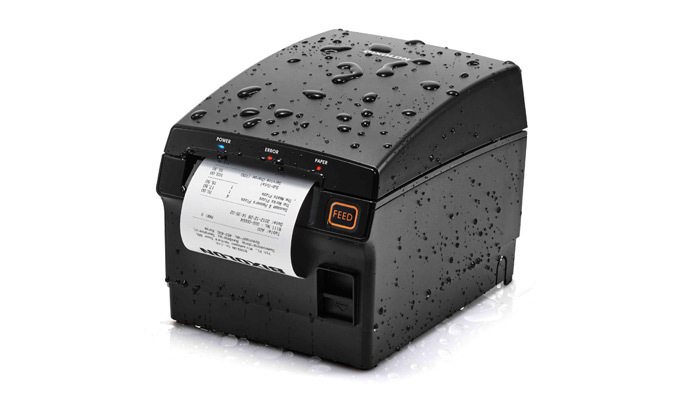 For example, the widely known producer of thermal receipt printers Posiflex represents its water and dust-resistant models KS7215, KS7217 and KS7515. Another one is Cognitive 5-inch A798 printer, helping to withstand nominal water damage by a liquid dam and special drainage features. The producer offers a Spill Guard accessory for the printer for even more protection. And the last one is Bixolon’s SRP-F310II providing water resistant and dustproof features by a special waterproofing technology and a water-resistant top. Choose for yourself weather you would like to soften the blow and diminish your business risks. This entry was posted on Tuesday, October 18th, 2016 at 10:33 pm	and is filed under printer. "3D-Printed Shoes Are Now Reality"
"New Ricoh Printers For Modern Offices"